Love then or hate them, chatbots are making their way into our daily lives. As both shoppers and workers, bots can help us find whatever it is we need quicker, solve a problem with less effort, or just stay on top of our lives. When Chatbots are powered by AI, they can serve as some really powerful personal assistants (think Tony Stark’s Jarvis). In fact, Mark Zuckerberg’s own chatbot for Facebook Messenger is called Jarvis. And Facebook is no stranger to chatbots, having just released tools to make theirs even stronger. Facebook Messenger is on the consumer end, though. In the business world, with so many teams and offices using Slack, there’s already a massive database to choose from. We’ve previously looked at building Slack with integrations to manage remote workers. In a similar fashion, we wanted to take a look at some of the conversational buddies that teams can add to their Slack channels. From security bots to keep our Slack rooms free of scary malicious links, to productivity bots to help us track our working time or organize meetings — some are workhorses, but others are chatty friends. We wanted to take a look and round up what we feel are the best 25 Slack chatbots your team absolutely needs to boost productivity. The tools that help us stay productive can be broken down into a number of different categories. Part of staying productive means staying focused, and staying focused begins with understanding what to focus on. Of course, this can prove to be difficult, what with all the countless tasks and workplace distractions. Many may find it increasingly difficult to decide what, at any given moment, deserves your attention. That’s where our first set of tools comes in — the tools that help us stay focused. With project and task management made easy, we can prioritize and focus our attention on the right task, and keep it there. 1. Nikabot – Being capable of keeping track of your team so that you don’t have to, Nikabot will quickly become of your best friends in Slack. Nikabot asks everyone what they have been working on daily, collect the answers, and turn it all into an easy-to-read Gantt charts and reports. These charts will help you make sense of who was doing what, when and why. 2. Howdy – Stay on top of everything your team is currently working on with friendly reminders and inquiries from Howdy. You can also configure Howdy with your own unique questions to ask your team anything: what they want for lunch, how their presentation went, or how much longer a task will take. 3. Swipes – Never switch between Slack and your team’s project management tool ever again! (At least, that’s the promise Swipes makes.) Swipes starts with a standalone app, which brings the Sofi bot to life inside your Slack team. Sofi lets users assign and share tasks with teammates, chat with their team to check their status, and automate new tasks when one is complete. Swipes is almost like the ultimate CRM integration with an assistant bot built in. 4. Acebot.ai – With AI under its belt, Acebot is a pretty powerful ally to have on your side. Simply put, Acebot is a productivity bot. Capable of managing tasks, tracking expenses, and running polls and surveys, Acebot can actually fulfill the role of other solutions on our list. Acebot is also capable of running Enterprise Sales Management alongside a powerful sales operation assistant. 5. Pombo – Another one of our favorite productivity bots for Slack is Pombo. Users can stay on top of their tasks, and stay focused on their work using simple chat command. Pombo lets users create a timed work session, drop a current session, take a break with the rest command, and check their past logs. A simple distracted command allows users to make a note on their log for review when the session is over. Pombo helps users stay focused, and recognizes when their focus might have drifted. Once we’re focused on a task, the goal is to then complete that task as thoroughly as possible within a reasonable amount of time. This exact sentiment is why integrations have grown so popular. By reducing the time it takes to complete basic tasks, you can reduce the time it takes to complete larger projects. A similar process is practiced in the automotive world when shedding weight on a racecar: they shave a few pounds by replacing glass with strong plastic, or take out the carpets to reduce a few ounces. Ounces add to pounds. Shed a few seconds here and there, and soon enough you’ll be adding up minutes. You can save valuable time can by introducing the most important information and resources directly into your Slack rooms — or learn from your team directly, even! 1. PaperBot – If you’re like us, then your team probably shares hundreds of links every week — if not every day. In comes PaperBot to help you keep track of it all. PaperBot collects every single link your team shares and compiles the important stuff into a persistent list. PaperBot even houses your list online so users can view it on the web, an iOS and Android App, or even in an email digest. PaperBot’s AI helps filter out the useless clutter from the really important links. 2. Obie.ai – Virtual assistants are a popular trend on our list for a very good reason. Different assistants can help with different tasks, and Obie is here to help with information. Designed to keep teams focused and informed, Obie can instantly provide answers to any questions your team asks. With machine learning, Obie can grow with every interaction and quickly become your team’s smartest bot. 3. 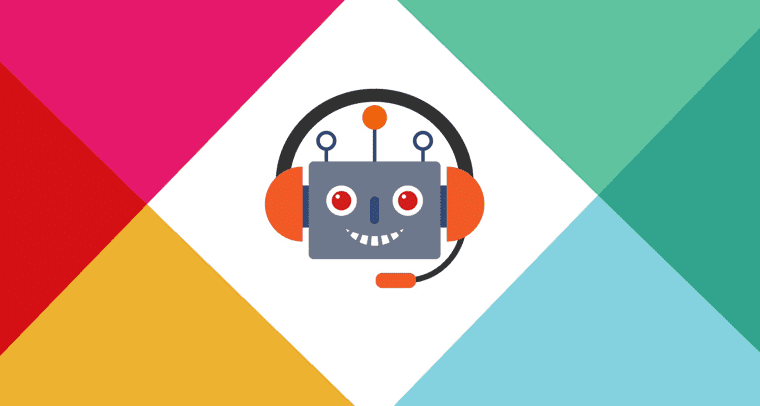 Statsbot – Just as they describe themselves, Statsbot lives in Slack as your own personal analytics assistant. Powered by AI, Statsbot can offer insight into any kind of data your team normally collects. Statsbot can connect with popular platforms like Google Analytics, Salesforce, and Mixpanel. The entire point of Statsbot is to provide a powerful tool to assist with data-driven decisions. 4. Captain Feedback – We can learn from the information we gather in external resources, but we can also learn from our own team. Captain Feedback allows teams to ask for anonymous feedback on topics such as your last presentation, meeting, sales call, or project. Find out what the team thinks, and improve! Focus on learning, improving, and growing as a team. 5. Growthbot – Stay on top of your brand’s progress and presence with the ever helpful Growthbot. Growthbot is similar to Statsbot, but it focuses on your company’s presence and can help you stay informed with how things are moving along. Track information, such as your website’s organic traffic, or even search keyword rankings to stay on top of growth and progress in Slack. Growthbot can integrate with resources like HubSpot and Google Analytics. Of course, we cannot shed time off of our trivial tasks if we are not organized. Some may even argue that organization is the absolute key to productivity. Collaborating and working together are key to completing a project on time and executing it properly. With our increasingly busy lives, though, it can be almost impossible to synchronize our days properly…. Unless we’re organized, that is. However even beyond meetings, we need to stay on top of the important information that we bring in. 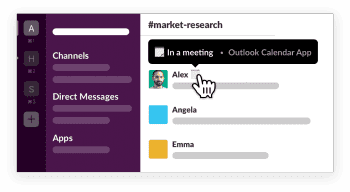 Slack’s original goal was to replace email, but some of us still need it. How about organizing that email within Slack? With the right tools, we can keep our digital and physical spaces neat and organized. 1. Standup Bot – Stand-up meetings alone can help boost your team’s productivity and keep everyone focused. These quick and to-the-point meetings help us prioritize and report progress. We can host even better stand-up meetings in Slack with the Standup Bot. In fact, this bot is so good that it can identify your team’s daily tasks and roadblocks for you. The bot runs meetings by automatically asking your team three daily stand-up questions, and emails a list of all reports to everyone on the team. 2. Busybot – Busybot is the ultimate project management bot that does more than just stay on top of task management. Busybot can be used to help organize just about anything your team needs to get done — from your next team lunch, your next happy hour, or your next meeting. Busybot allows users to assign tasks, send out and receive reminders, organize meetings, and assign tasks in real-time. 3. MailClark – The entire point of utilizing a chat app like Slack is to hopefully remove the need for email. However, most people still and always will use email. Email still serves as the mainstream communication method for when we need to talk to others outside of our team, as well. So MailClark helps us stay organized when it comes to email by putting it all in Slack. Send and receive emails, tweets and even direct Twitter messages right in Slack. 4. Yala – At this point, just about every business that interacts with the public has a social media presence. Even those in the B2B space will more often than not utilize social media to share and spread information, products, or resources. But managing more than one social media channel can turn out to be a nightmare. 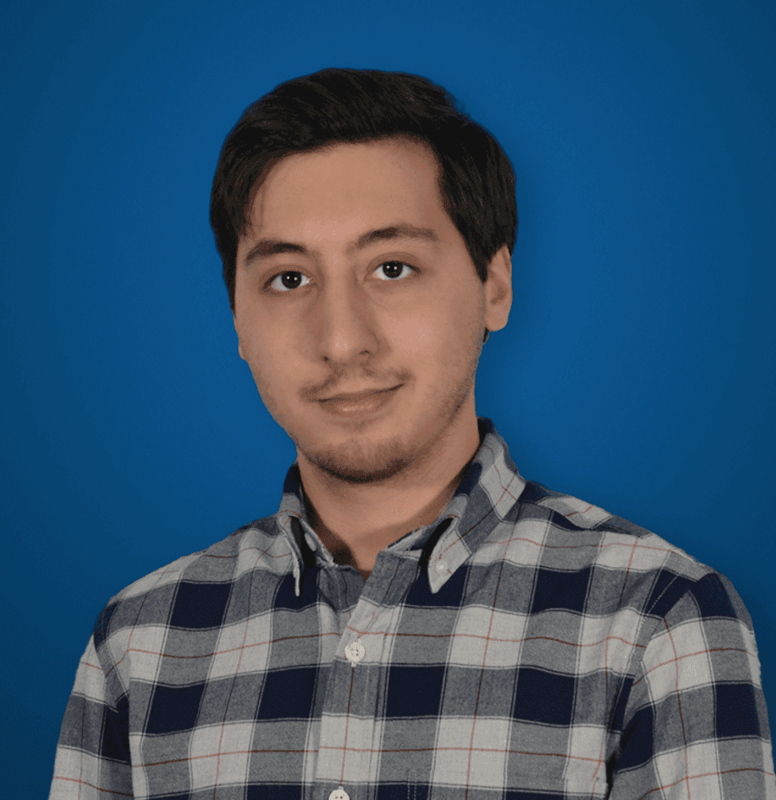 Yala, a smart social media marketing assistant, helps users stay on top of it all. Yala knows the best time to post, can manage posting on multiple channels, and can add in a personal touch. 5. Meekan – With so much going on in every single day of our week, it can be almost impossible to line up two schedules for even five minutes. Meekan can help us solve that, though, and schedule the perfect meeting within seconds. Meekan integrates with Slack and looks at everyone’s calendars to quickly find common free times. The Meekan bot lives in your Slack channels, and helps you organize and plan the most efficient meetings possible. None of us can be productive if we are constantly worrying about the security of our communications. Many employees might not think about it, but one of the quickest ways to tank productivity is by taking time-consuming trips down to IT. Help keep your teams focused and productive by keeping them safe and secure. The right tools start with a proper security network. Though every business should leverage a VPN, even the simplest tools can keep teams safe. Alternatively, look at security through a different lens: keep your team on top of the latest compliance levels, and reduce time wasted ensuring compliance, by using the right bots. Some powerful Slackbots out there can ensure that websites are safe, that employees are only visiting the websites they should be, and even allow users to encrypt their communications. 1. Security Bot by MetaCert – With the name MetaCert behind the Security Bot, your company can have peace of mind knowing the solution comes from a trusted provider. In fact, MetaCert’s entire goal is mobile security, and has shifted to focus on Chat Apps. Their Security Bot silently lives in your Slack channels to monitor and remove any malicious links. MetaCert’s Security Bot can also be used to help ensure compliance, both on the legal end and your company’s end. In fact, this bot would be a great addition to Slack for any team adopting BYoD. 2. Dbot by Demisto – MetaCert isn’t the only provider out there that’s focusing on mobile and messaging security. Demisto is another well-known name, and the Dbot is very similar to MetaCert’s Security Bot. While Dbot also lives silently within your Slack rooms, the bots crucial effects are not so very silent. In fact, Dbot will not only scan all of the links your users share within Slack, but go a bit further. With information like the threat feed reputation for any IP, URL and even Files that are shared, Dbot really is like an antivirus for your chat. 3. Safelink.io – Slack security is always going to be an issue. Slack, unlike Cisco’s Spark security, has a bit of a gray area when it comes to privacy. Slack has gone out of its way to improve, and is working hard to do so. However, when sharing critical or sensitive files and information, we can never go too far to keep them safe. Safelink.io allows users to share encrypted messages or files with the Safelink bot. The message is then converted into an encrypted link that requires the recipient to entire their phone number as a PIN. Oh, and everything is deleted within 24 hours. 4. Lighthouse Bot – If you act as the administrator for your team and want to gain some extra real-time protection, then the Lighthouse Bot should be on your list. With real-time monitoring and alerts, Lighthouse allows users to set up their own specific triggers. This allows managers or admins to stay on top of all activities happening in Slack, such as file sharing, channel creation, and basic conversation. With real-time monitoring, you can ensure your team is playing by the rules, and no unwanted visitors are messing about. 5. Spectr, the legal guy – Now, mobile security and encryption are great, but what if your team requires a different security solution? Spectr, the legal guy can help with that. With access to a constant legal assistant living in Slack, your team can always get the help it needs (or at least during the hours of 8:30 am – 18:00 pm, Monday – Friday). Keep your team secure from threats other than viruses and malware. Sometimes we just need the right set of tools to get the job done, and when that means staying focused on our work, well — an army of Chatbots exist to help us out there, too. These are the tools that don’t specifically fit into any of our other categories, but every team should still leverage. With these tools, your team could even build their own conversational bot to solve a problem no one else has addressed. Or, if you’re looking to keep things a bit simpler, chances are that bot already exists. Sometimes even the simplest tool can transform the way we work. For example, a basic Pomodoro timer can help us manage our work and breaks. There are even more creative tools, such as Pixibot, which extracts text from images that live in your Slack team and organizes them for later viewing. Bots of all sorts exist to help simplify some basic tasks or gather some powerful insight and information for us to leverage. 1. Pixibot – What could be a novelty for some teams might prove to be a lifesaver for others. Such is the case for Pixibot, the helpful little bot that can organize all of your pictures. Except, Pixibot doesn’t just neatly place all of your images shared over Slack into a folder. Pixibot can analyze every single image that gets shared in Slack, read and extract any text from the image, and then save that text as a file comment under image. Pixibot essentially creates a searchable archive of images by specifically cataloging the text from your images. 2. Conclude – Instead of pulling your hair out trying to make the right decision, call in the right help. The Concludebot lives to help your team make better decisions. Conclude allows users to start a session and share their idea with the /propose command. This creates a dedicated room for that specific decision, and users can simply use the /conclude command when they finish. This way, your team is focused, organized, and collaborative right when they need to be. The chat can also be saved and archived for later. 3. Workbot – Getting tired of always typing in the same command, or having to switch windows to input your call information into Salesforce? Through the power of automation, Workbot can do all of that for you and more. Instead of jumping from app to app for relevant customer or project data — and then repeating the same process for every task — Workbot can setup work streams and complete your basic tasks for you. 4. Firebot – It can be really hard for teams that are constantly firing off messages and sharing files — or just cat gifs — to stay on top of it all. Look away for just one minute, let alone an hour, and you have a lot of catching up to do. Firebot can help you stay in the loop even when your head is buried in the books. Firebot will send you a message if any channels are having a busy conversation, or you can directly ask Firebot about your teams activity. 5. Hubot – If nothing else does the job for you, then maybe Hubot will. Hubot is Github’s own open source chatbot that can live right with your Slack team. Hubot is designed to be easy to use and configure, and it can be programmed using just simple scripts written in either Node.js or CoffeeScript. For the creative team, or the bored developer, Hubot can be your own personal customizable chatbot and programmer’s bot. We’ve just begun to scratch the surface of Chatbots. There are some great ones out there that are non-productivity focused — there are even some simpler tools we didn’t go over. But take a quick trip to Slack’s app directory, and it’s easy to feel overwhelmed by the massive list of options. The bot category alone goes on for pages! 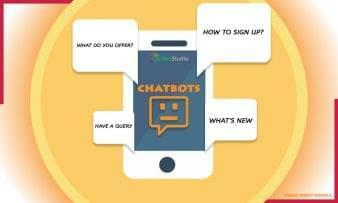 We wanted to highlight the Chatbots that stuck out to us as being the best tool available to keep the work flowing and employees focused. While Slack has a number of alternatives, none of them can quite match the app directory and sheer options available for Slack.